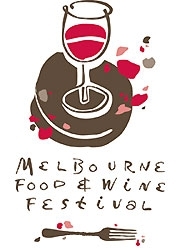 The Melbourne Food and Wine Festival is an annual event held in the summer month of March. The festival celebrates Melbourne and Victoria's colourful food and wine culture in a fortnight long program of over 250 events. The Melbourne Food and Wine Festival aims to promote the quality produce, talent and lifestyle of Melbourne and Victoria, and to reinforce Melbourne as the food and wine capital of Australia. In 2011, the festival will be held from 4 - 14 March. The festival has grown to include iconic events such as the Langham Melbourne MasterClass, a line-up which includes world-class chefs and the World's Longest Lunch. Also, the festival shows how to grow and install an urban food-producing garden, which is showcased in Melbourne's City Square. The idea explores the food city dwellers can grow in their suburban backyards. The Melbourne Food and Wine Festival has the strong support and respect of the food, wine and hospitality industry in Australia and around the world and records over 300,000 visitors annually. BookToday has a wide selection of accommodation close to the Melbourne Food and Wine Festival. Stay close to the action and be a part of this unique culinary event in Melbourne. If you require further assistance with your accommodation selection, feel free to call 1300 733 274 and talk to one of our friendly customer service assistants.